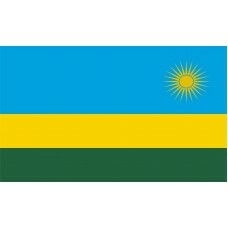 The Rwanda Flag features 3 horizontal bands in the colors of blue, yellow, and green. In the top right-hand corner, is a yellow sun. The blue color represents happiness and peace, the yellow color represents the economic development of the country, and the green color represents hope and prosperity. The sun represents a new beginning and enlightenment. 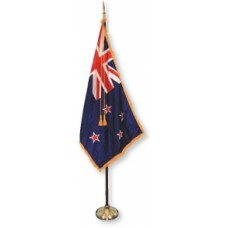 The flag is supposed to represent the now unity of the country, respect, and heroism. 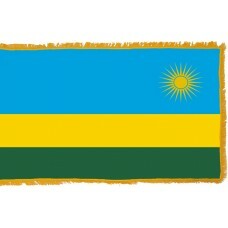 The Rwanda flag was designed by a local artist named Alphonse Kirimobenecyo. 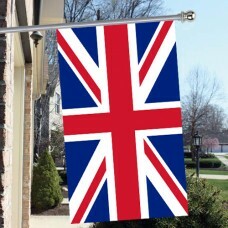 Before the present flag, the flag that was used was a red, yellow, and green (the Pan-African colors) tricolor flag which had a large black letter "R" in the middle of it. The letter "R" represented Rwanda, Revolution, and Referendum. The Rwanda flag was changed, though, due to the 1994 Genocide. Rwanda (which is also known as the "Land of the Hills" due to the majority of the country being covered with grassy hills) is a landlocked country in Eastern Africa that shares borders with Uganda, Tanzania, Burundi, and the Democratic Republic of Congo. The capital of Rwanda is called Kigali. Rwanda is one of the smallest countries in the world. In 1890, Rwanda became part of German East Africa along with Burundi but during WWI, both Rwanda and Burundi, were captured by the Belgian forces. Following its capture by the Belgians, the country became very divided and the tension due to its capture led to the 1994 Genocide. Rwanda is made up of three ethnic groups, which are, the Hutus (which make up approximately 85% of the population), the Tutsis (which makes up approximately 14% of the population), and the Twa (which makes up approximately 1% of the population). The Twa tribe were the earliest inhabitants of Rwanda. It was thought that the Hutus were the strong farmers, the Tutsis were the tall, slim herders, and the Twa was a tribe of the Pygmies who were hunters and lived in the forests. When Rwanda became a part of Belgium, there was much tension between the ethnic groups due to race and the fact that the Tutsis were considered the minor ethnicity. Due to this Belgium would offer better opportunities (i.e. Jobs, education etc.) to the Hutus than to the Tutsis. In 1959, the Rwandan Revolution (also known as the "Social Revolution" or "Wind of Destruction") began, in November, between the Hutus and the Tutsis. It began when a series of attacks began on the Tutsis and their homes. A Belgian colonel was brought into this revolution and began to protect the Hutu and replaced many Tutsi chiefs with Hutu. In 1960, when the Hutus had gained control of the majority of the country, an election was held for independence and in 1962, Rwanda was officially declared independent. Even though Rwanda was officially independent, this did not stop the tension between the Hutus and Tutsis and on April 7th, 1994, the 100 day Genocide began with the mass slaughter of the Tutsis lead by the Hutus. Approximately 500,000 – 1,000, 000 (70% of the Tutsi population) lost their lives.